Anne Nesbet is the author of the novels The Cabinet of Earths, A Box of Gargoyles, and The Wrinkled Crown. Her books have received starred reviews and have been selected for the Kids’ Indie Next List, Chicago Public Library’s Best of the Best list, and the Bank Street College Best Children’s Books of the Year list. An associate professor at the University of California, Berkeley, Anne Nesbet lives with her family in the San Francisco Bay Area. In this atmospheric page-turner set just as the Iron Curtain begins to lift, Nesbet deftly ratchets up the tension, using a close third-person omniscient narration to keep readers experiencing one unnerving event after another, just as Noah does...This is edgy, dramatic, and emotionally rich historical fiction that provides a vivid look into an extraordinary moment in history. [Nesbet's] author's note reveals the personal history behind the novel, suggesting a labor of love that does show in the carefully crafted details and effective scene-setting...Nesbet's detail-rich novel offers tenacious readers an interesting window into the fall of the Iron Curtain. Nesbet gives readers a glimpse into life behind the Iron Curtain...Noah’s friendship with his neighbor Claudia is genuinely touching, and some truly tense scenes unfold as secrets are revealed and readers witness events leading to the fall of the Berlin Wall. Nesbet cleverly contextualizes events via “Secret Files” ... that follow each chapter, drawing fact and fiction together into entertaining little bundles. Told from the perspective of an eleven-year-old, the sounds, sights, and smells of East Berlin come vividly to life...Jonah is both credible and endearing. Even when his parents are secretive, he attempts to do the right thing. Side bars list pertinent historical facts. This makes an enlightening and inspiring choice for classroom units or book discussions. 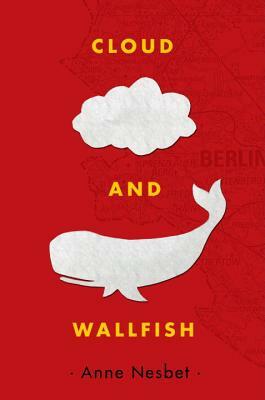 A brilliant novel of friendship that seamlessly blends history with mystery and suspense, Cloud and Wallfish is certain to expand readers' perspective on multiple levels.